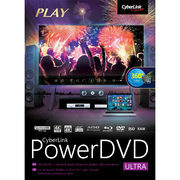 The CyberLink PowerDVD Ultra gives you premium audio and visuals for the ultimate mesmerizing movie experience. Watch DVDs, Blu-ray discs or online video content with cinema quality in the comfort of your own home. CyberLink's unique technology enhances your viewing experience and makes the most of your 4K or HDR television.